What does the ammonia help with in starting a tank? 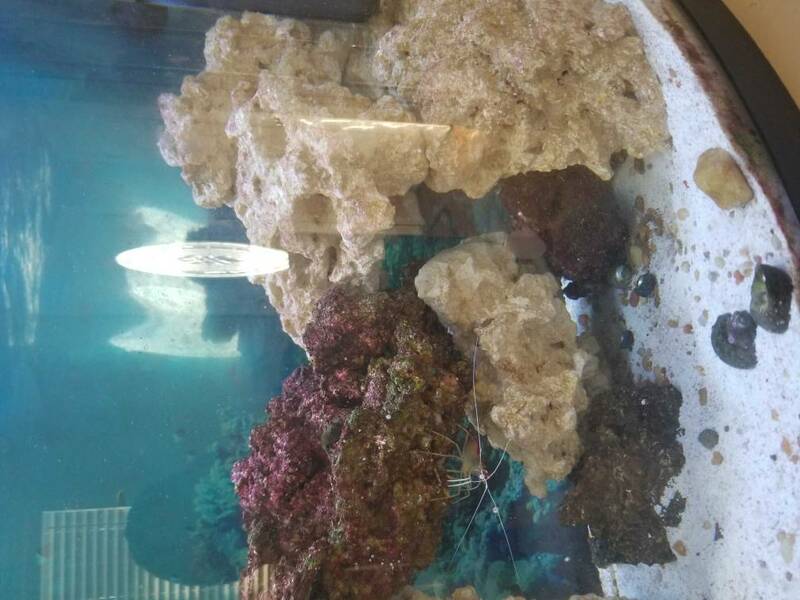 I'm doing a major upgrade to my tank (going from 75 to 250G) I have a bunch of dry rock that i am going to use, but I am also planning on reusing the rock currently in my tank. Should i take one of the rock currently in my tank, put it in a container with the rest and let it cycle? How long? Great idea. Let them soak together for a month. That should give the bacteria plenty of time to spread. You could drop a table shrimp in there for food to increase the bacteria. No need to worry about nitrates since the water will not go in the DT. Ya prob not the best look. You have other options for filtration and waste break down. Macro algae in the sump, filter socks....ect. Dont forget the water changes. Take some rock and move it into your sump. Works the same there and in the DT. The 1 lb per gallon is figuring you have a well stocked tank and feed it well. If you can stay away from overstocking you do not need that much rock. For example I have 18 fish in my 500 gal tank. none are over 3 inches. Most being 1" to 2". Thats about 1 fish per 25 gallons. Dry rock has been in my fishes tank for about 5 weeks now. I decided to let it cycle while clowns were in QT. Ammonia and nitrites are both 0, but nitrates are really high somewhere between 40-80ppm. I have been doing 12% water changes each week and nitrates don't seem to be moving. What is my next step? Clowns can't go back in with the nitrates this high correct? There are several sources for rock: ideally it should be limestone or old coral, and have a LOT of holes, like swiss cheese: this offers more surface area. 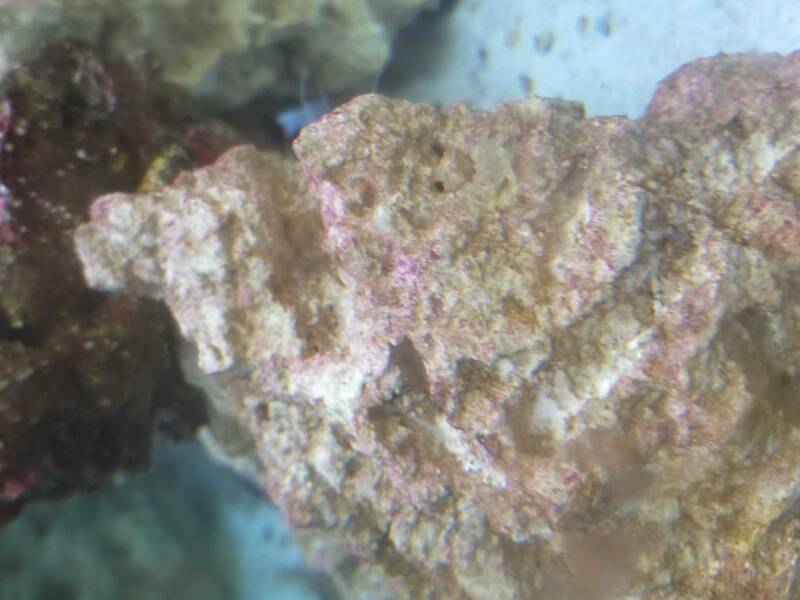 You need about 2 pounds of this sort of rock per gallon of tank–but this is tricky: not all rock weighs alike. Look at the rockwork in pix on this site and get a good idea how many pieces of what size you need. Also—use ro/di or at least ro water—filtered water that has 0 mineral content: you’ll use that for your tank on setup, and there’s no good gained by soaking your rock in water that’s already caryring a lot of what you don’t want. 1) Rock from another tank. If it is still fresh and not been out of water for more than 24 hours, it’ll probably be fine. You will have instant importation of various marine life—I got a load for a 50 gallon tank, and counted 52 species that survived a cycle, including a bit of bubble coral, xenia, and of course the obligatory aiptasia (pest anemone) and some asterinas (mini-starfish that are not a problem in an sps or lps tank: soft coral tanks may want to pick those out.) You take your chances on this sort of rock, but if it’s been in a successful tank, good things will outnumber the bad. If the donor is merely breaking down a successful tank in a house move, it’s your bonanza of life. If the donor went out in a tank crash or was overrun with something nasty, definitely move to step 2. 2) live-but-barely rock suffered in shipping or came from a troubled tank. THIS I would ‘tub’ in the dark in 80 degree 1.024 salinity agitated salt water for two months before use. This will pretty well kill off nastiness and leave you with brown bare rock. You can use a Rubbermaid Brute trash can or something with a garbage can liner, and just give it a heater and a fairly strong pump. Eheims are good small workhorses and can later serve as a salt mixing pump or water-change pump. Or you can use what will be your sump skimmer: just let it do this job. However—if your skimmer isn’t really moving the water, you need a more potent pump. You don’t want dead spots in the circulation. Do water changes weekly and also test your water to be sure it’s staying at 1.024. Test for phosphate a day after water change and if you’re getting a reading despite the water changes, you might as well start running GFO in a reactor right now. The water changes will ordinarily be enough. 3. Dry rock. You CAN put it all into the tank and wait 12 weeks for a cycle, but I don’t recommend it. Use process 2. Tub it with at least one actual live rock you’ve bought from a store or gotten from a friend. Two months in the warm salty circulation will turn it into live rock. Now—WHY? Because dry rock may contain other elements like phosphates, and the long soak will let this soak out, while it also picks up a load of bacteria from that small live rock you bought. Can bacteria-in-a-bottle speed this process? Probably a bit, but part of what you’re doing with dry rock is letting water seep deep, deep, deep into the rock—along with bacteria, which are tiny enough to get there---and nothing hurries a rock soaking. Crack open a rock that’s been in a river or an ocean—and you won’t find it dry and dusty inside. That’s part of the process you’re replicating here. Dry rock is sometimes a source for phosphate. Be sure not to use metal-bearing rock like volcanic stuff, etc: salt water and metals don't play nice. Limestone is safe. Holes are good. One big massive no-holes rock is not as efficient as a number of smaller ones. 4. Man-made rock: yes, it works fine. Put it through the same process, water changes, et al. Test for phosphate. And just keep going. Next, your sand: I’ve never personally used live sand. I use CaribSea aragonite medium grain (the very fine sand may look pretty, but it blows about and irritates fish and kills corals). Washing this sand for a hundred gallon tank involves two five gallon buckets, a garden hose, and an all day operation, before you are rid of the milky white dust that comes with this sand. Wash about four cups at a time. And just keep running water until the sand is clean. It is a nasty, cold, wet number of hours. Yes. It is. My total sympathies. Getting started is kind of boring and frustrating, having your nice tank and babysitting a bin of rock, but use this time to read and research and plan. You can also start washing your sand. 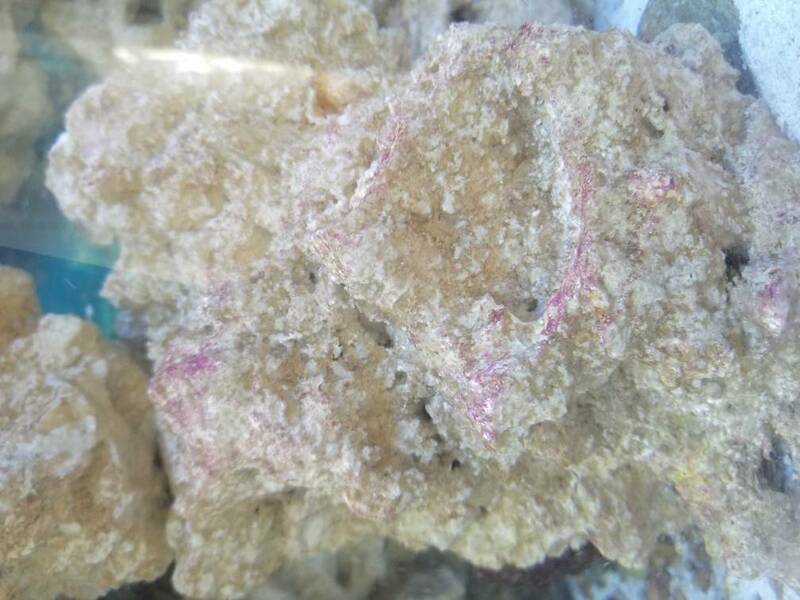 Some hobbyists are advising fresh water dips for live rock and coral, which I think is absurd. Can you address this point please?